Lynette is the founder and Chief Executive Officer of My Wedding Wish. In 2007, Lynette recognised the need to help the terminally ill marry with dignity, compassion and grace and was soon motivated to start My Wedding Wish as a local project on the Sunshine Coast, Queensland. However, the need for growth was soon evident and in 2017, the charity rolled out nationally with chapters in every state and territory. Lynette is a sessional teacher at University of Sunshine Coast, Queensland, Australia and in 2015 she was presented the University’s highest Award for a graduating student, the Chancellor’s Medal. 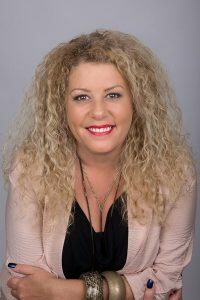 Lynette is a past Council Member of University of Sunshine Coast, and currently sits on the boards of two local charities, and is Chairperson on another. Lynette is a popular marriage celebrant, and is happily married with one adult daughter. 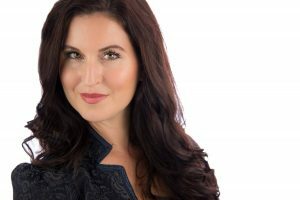 Lynette is also a popular author, presenter, and social commentator in the fields of teen behaviour, and in particular the disturbing narcissism epidemic which brings with it a cultural acceptance of violence and violent behaviour. These maladaptive behaviours are enabled and legitimised by social media and internet use. Many aspects of teen growth and health are impacted, including a disturbing negative impact on teen sexual health. Inke Loos is the Principal Solicitor and Director of Leora Rose Law. She has worked in the legal industry for over a decade, and specialises in Commercial Law, Entertainment Law and Intellectual Property. Inke is a driven and hands on solicitor, with extensive experience in both private legal practice and in house counsel roles. Prior to founding Leora Rose Law 14 months ago, Inke spent 5 years as General Counsel and senior executive for a large international music company; heading up and leading its’ legal team across 20 countries internationally, providing corporate strategic advice, overseeing business affairs and working at Board and senior management level on complex decision making, feasibility, legal risk management, and advice. Inke is also in the process of setting up a Management Company “Real Woman Speak’, an agency which provides female speakers, keynote speakers, and panelists. Real Women Speak is dedicated to giving a platform to real women with extraordinary stories and extraordinary lives. Inke also acts as exclusive agent and manager to a number of amazing people. Inke also sits on the Board of My Wedding Wish, as Director and Company Secretary. My Wedding Wish is an Australian registered charity which gifts weddings to the terminally ill.
Inke has worked with, and acted for, international and local artists, performers and designers, top tier companies through to small businesses, and individuals noted on the BRW Rich List. She has also taught and tutored at two Australian universities, and has particular interest in helping and empowering her clients whilst also providing them with the knowledge and skills they need to succeed in their chosen field. Inke is also a very proud mother of 2 year old Wolfe. Birte Benecke-Uhrig is a Tourism Marketing and Event Specialist with over 25 years of international experience in the tourism and event industries. Birte owns and runs two successful businesses on the Sunshine Coast of Australia and is a founding member of My Wedding Wish since 2013. Birte has consistently contributed her time and skills alongside CEO Lynette Maguire to grow My Wedding Wish from a small community project to a National Charity. 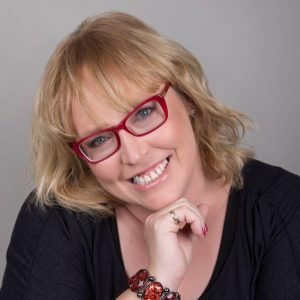 As the Managing Director of the Sunshine Castle since 2006, Birte has twelve years of wedding expertise as a venue manager and in depth knowledge of the wedding industry in Australia. Birte is passionate about her community and business environment. Her businesses have been recognised in awards at both a local and state level. She regularly contributes her time to various advisory panels, generously supporting a plethora of organisations and community groups. Her background includes six years as PR and Marketing Manager for Tourism New Zealand based in Germany and two years working in events and publications for the European Central Bank. In addition to her extensive Business Administration and Management experience, Birte holds a BA in Literature and Languages and a Diploma in Tourism Management.